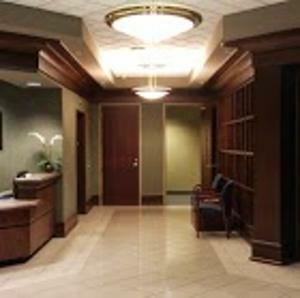 Customized treatments are provided for ladies in a quiet oasis tucked away in beautiful Cary, NC. Tour the website to see NASA findings, scientific experiments,or articles on comedogenic ingredients. Cary Skin Care's owner, Melanie Steigelmann, believes in giving the best facial and best skin care results with non invasive procedures and little down time, so you can get back to your life. Cary Skin Care specializes in non-invasive, skin care results with the latest technology and over a decade of experience. Cary Skin Care uses the latest non-invasive procedures. Included are: Red, Blue & Green Lights, The Natural Lift Machine, Microdermabrasion (with crystals), Ultrasonic Facials, Water Based Hydro-dermabrasion for Sensitive Skin, and various enzymes and Chemical Exfoliations for mild to extreme exfoliation. The mission of Cary Skin Care is to focus is on each client, giving personal attention and customized facials with as little down time as possible. Each person is analyzed before each facial treatment. (Included with each new appointment) Melanie Steigelmann will be your personal esthetician each time you visit. She is your personal "conceierge" esthetician that will provide her personal cell number for any questions you may have during your treatments with her. You will be working directly with a highly educated and experienced esthetician/owner who will personally customize all of your facial needs with carefully blended treatments &.skin care selections, specifically for each individual..
Cary Skin Care is not a typical day spa or a hair salon. Cary Skin Care specializes in working to provide you with the best facials and best skin care possible. Everyone's skin is very different. Even your own skin will vary day to day in it's behavior, due to weather, health, aging, medications, stress and other factors. Cary Skin Care customizes your skin care program to fit your changing needs. Melanie will give you her years of experience to deliver her personal best.She strives for you to have the best facial results and best skin care you possibly can. It's like having a personal skin care concierge, at an affordable price. When working with the owner, you will have the advantage of her experience from working on over a thousand clients she has worked on, as well as, over a decade of experience in Chemical Exfoliations, facials, home care & equipment. She will get to know you and your skin's specific behaviors. This customized, one-on-one approach helps quickly deliver the best results in less time. Some of the tools used at Cary Skin Care include: Microdermabrasion, Chemical Exfoliations, Ultrasonic Facials, Enzyme Facials, non-surgical lift machine & Non-Invasive Light Facials. These techniques may be used independently or layered in one facial. This special customization helps provide the best facial you can possibly get for your unique skin care issue. All of this is discussed before any procedure is done. As the owner/esthetician at Cary Skin Care, Melanie believes in building up the skin, as well as exfoliation. This is the foundation of a healthy facial. The machines, personal techniques and skin care products are combined in ways you may or may not be familiar with. The customized combinations have been refined from experience on hundreds of different skin issues. Melanie originally worked with medical doctors. It was a good education. However, she has found that the best education has come from years of experience working on unique skin care issues. Her philosophy and techniques are more commonly found in New York, (including some treatments she has that are used on those who have walked on the red carpet! ), Houston, Los Angeles, San Diego, San Francisco and other large metropolitan cities. Melanie continues to work in cooperation with dermatologists and plastic surgeons to help you achieve maximum results. She believes that clinically proven procedures & cosmeceutical skin care products are vital for producing maximum professional results. Customized facials are a great route before considering surgical procedures. Anti-Aging solutions without a surgeon. There are some major differences between what Melanie will suggest for you and the over the counter products & other professionally carried lines. 2. Cary Skin Care prides itself on carrying products that work, not marketing promises. Cary Skin Care uses Rhonda Allison Skin Care as their primary skin care line. Other product lines are used to get the best results for your skin type. If you have a facial skin allergy or you are pregnant, please bring a list of ingredients you must avoid from your doctor. Melanie will be happy to help you find skin care items without these ingredients. Our greatest advertising is from clients who are happy with their results who send their family and friends. Our prices are very competitive and Melanie's expertise is irreplaceable. To receive the best skin care results, find one professional & allow them to learn your lifestyle, skin type and skin issues. This should lead to: less overall problems with your skin, more effective and longer lasting treatments, all in less time.